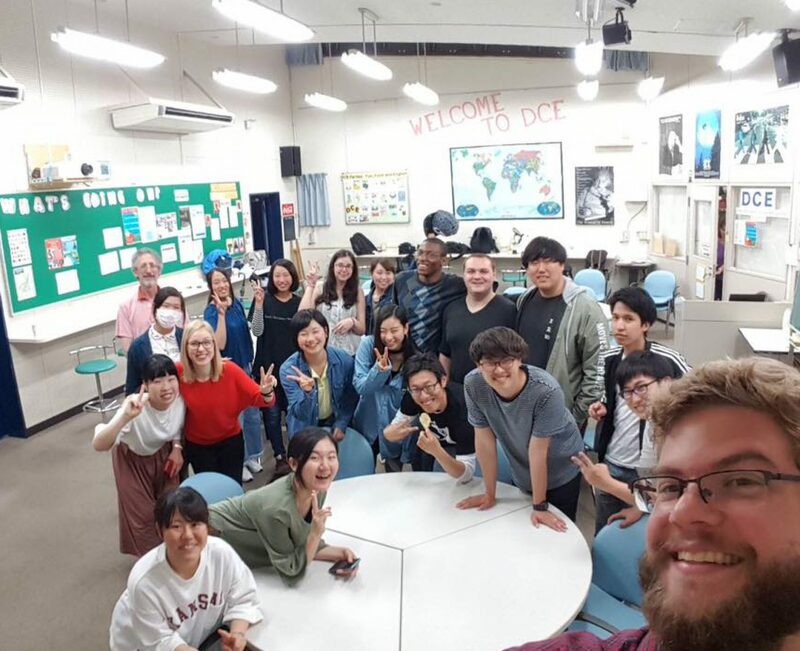 On November 17th, the interns threw an international cooking party for the DCE students, where each of us introduced food and other interesting things from or cultures. Here’s just a taste of what we did that evening. Guacamole is delicious and fun to make! Lizzete introduced guacamole, and students took turns doing the individual steps of making the guacamole. 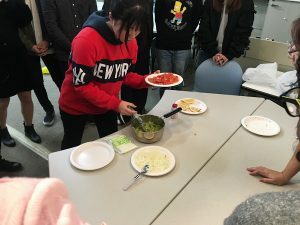 I was especially excited for Lizzete’s guacamole because this was the first time that many of the students had ever tasted it, and it sure was tasty! To finish off her part, Lizzete told the Mexican story of La Llorona while everyone was eating. 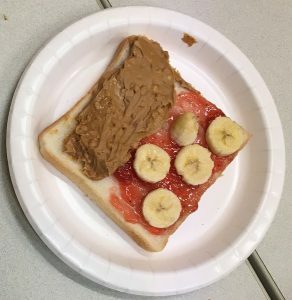 A student made a beautiful peanut butter and jelly and banana sandwich. sandwiches and American Thanksgiving-themed turkey crafts. Students had the option of having peanut butter and banana or peanut butter and jelly; some students chose both! I hope that the students enjoyed this meeting of sweet and savory A recent convert to peanut butterdom myself, I enjoyed my first PB & J in several years. Martin made Tangyuan, which can be described Chinese dango. Martin’s recipe included making white rice flour into tangyuan balls, then filling them with sesame and boiling them in ginger water. 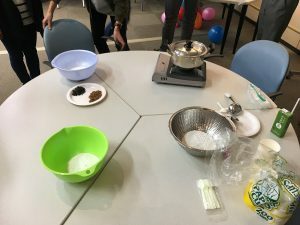 The she students gathered at tables and prepared the ingredients for the tangyuan and brought their finished tangyuan balls to Martin, who was managing the cooking. Ingredients for making tangyuan. Note the portable stove. This food was the most involved, being the only one to involve actual heat or cooking. But the extra effort was worth it; the tangyuan was delicious! At the end, Brianna told us about food from Haitian culture, and the story of Rosa the elephant. And if you want to get a song stuck in your head, here is the French Allouette song that Brianna shared during the party. “Lark, I will pluck your feathers off” The Alouette song is a bit violent…. The best thing about the parties that we do at DCE as interns is that we’re able bring students and ourselves together in a low-pressure environment to enjoy each other’s company. They’re precious times, and I hope that we can make the most of them. Here is the cookbook that Onaca made containing all the recipes that were used during our party. 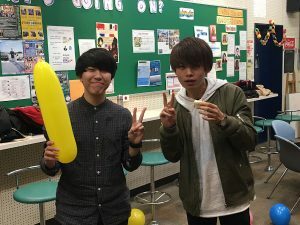 Next PostNext What are Students like at Ibaraki Christian?